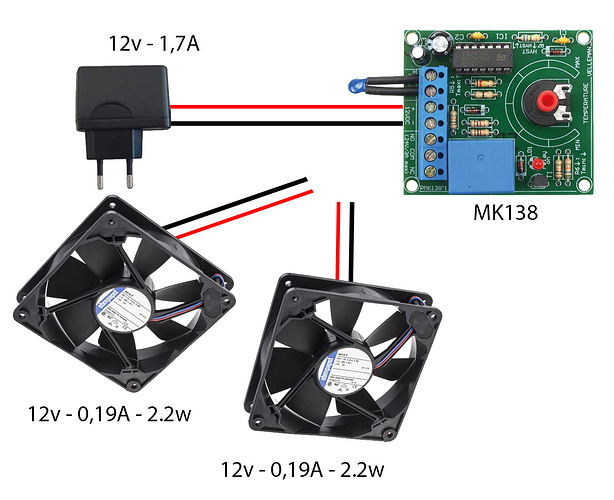 Hello everyone, my english is very bad and I use Google Translator, sorry, I have the kit MK138 already assembled, I think it’s all ok, I need to know where I have to connect two 12v fans each, I have connected the thermistor in MK1 and the feeding 12v in SK2, where I have to connect the + and the - of the fans ?. the SK3 puts NO, COM and NC, I do not know where they connect. 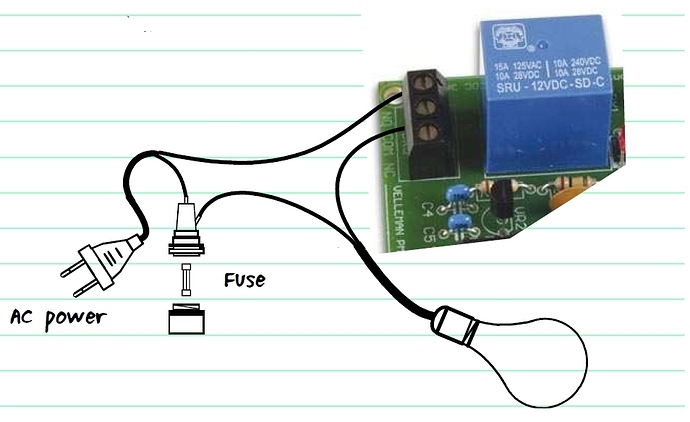 Instead of the plug in the picture below it will come from a DC adapter or batteries. You can also get more information that may help you in the future in this download. Good morning, thanks for the quick response, but I still do not understand it, I connect the feed, in the SK2, + and -, in the + the feed + of the fans and the -. I try to connect the fans - in SK3 one by one and nothing, the fans connecting them to 12v work, the MK138 plate, it does all the correct process, but it does not activate the fans, I send it photo. Hello, thank you, everything is perfect, the only thing I will change the resistance R6 120K / R5 56K: temperature range from 16 to 60 degrees, because with those of the kit they are activated right away. Just glad you could make out the mess I made of your picture.